A phone call right before the New Year: “Your mom is in a coma”. Once upon a time, there were two girls–Marina and Alyona. Listen to their story. They spent practically the whole war by themselves. I wrote about them many times. They never knew where their fathers were (each had a different one), and the story with their mother is even more interesting. When the war started, Marina, the older and shorter of the two, left for Russia with a boyfriend, while the younger stayed with her mother. 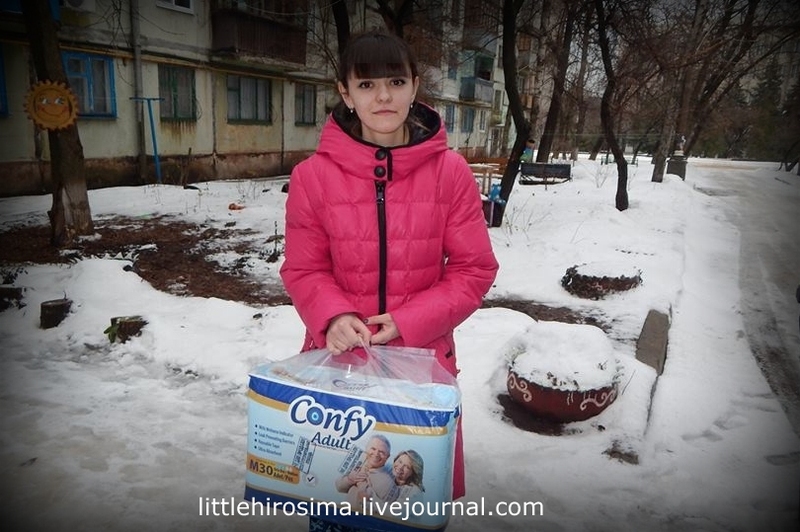 Heavy bombing stopped, so Marina returned to the now established LPR and found nobody home. Mother lived in some dump with some dude, with Alyonka looking on. 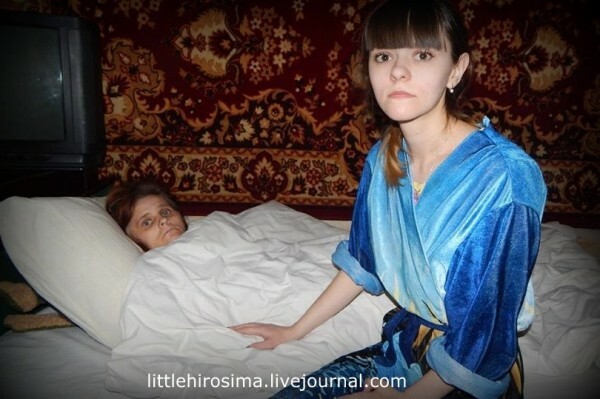 Marina immediately took her sister from the mother. The two started living together. So, Alyonka grew, went to school. While Marinka took on all kinds of jobs–sales clerk, seller, bookkeeper, loader, etc. Working several shifts while herself so thin as to be almost translucent. If you remember, she once broke her leg, and got no compensation for it. WE offered her help with her studies, there was someone willing to pay for it. But Marina was so afraid for her sister and so afraid to put her hopes in anyone that she refused. The house is half-empty. Either the mother took everything away, or some woman who lived there for some time in ’14 did. Moreover, the apartment accumulated a pile of debts which the mother wasn’t even trying to pay off. We then collected money to cover the utilities debts so that electricity and water wasn’t cut off. We managed, thank you for that. The girls lived for all these years on their own–with a turtle and a hamster. Mom never remembered them. They waved their arms when asked about her: “don’t wanna know her”. We’ve tried to help them all these years, with the bills, food, clothing, money. I remember how once we came to visit them without warning, bringing presents, and they were so frightened that they hid in a corner and were afraid to move. They thought one of the mother’s former roommates showed up. And then the New Year’s phone call. “Your mom is in a coma”. It was a stroke. Two weeks in a hospital. Nobody needs her, except the sisters. 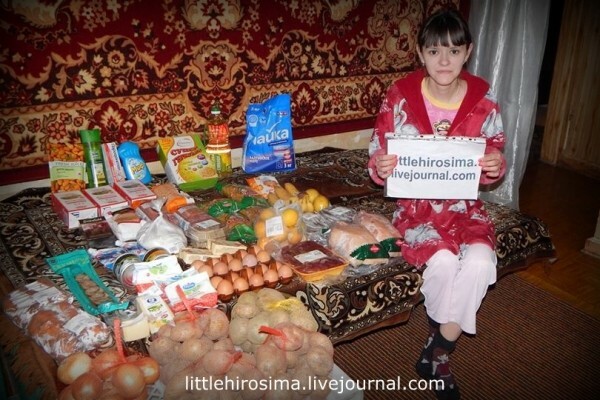 Marina borrowed money from neighbors for treatment. They took the woman home. We are at a loss for words. For all these years I, Zhenya, all of us, wrote long tracts about how horrible the mother was. The girls simply tried to forget she existed. Marina tried to get custody for the younger sister but couldn’t. The mother did exist, and therefore it complicated things. But the mother didn’t spare one thought for them. And here the two sisters took the paralyzed mother home and are taking care of her. Alyonka comes home after school to feed and wash the mother. That’s no simple task–there is no water heater, water has to be heated on the stove. Marina works like an ox. She’ll soon completely dissolve into thin air. She comes home to constant changing of diapers and laundry. We’re in shock. And here we thought we’ve seen it all. The girls naturally have not and are not asking us for anything. But they are struggling. Zhenya did say that “there’s a aura about them”. Golden hearts. Friends, if you want to help them, please label your contributions “sisters”. They really need help now. Diapers, medications, care items for the paralyzed will be very helpful. These are not cheap. And for them, unaffordable. Marina earns 6,000 a month. On the photo below Marina is wearing a neck brace. She’s had a minor injury, she’ll have to wear it for a year. But they say it’s supposedly no big deal. To read more about them, please click on the “sisters” tag at the bottom of this post. 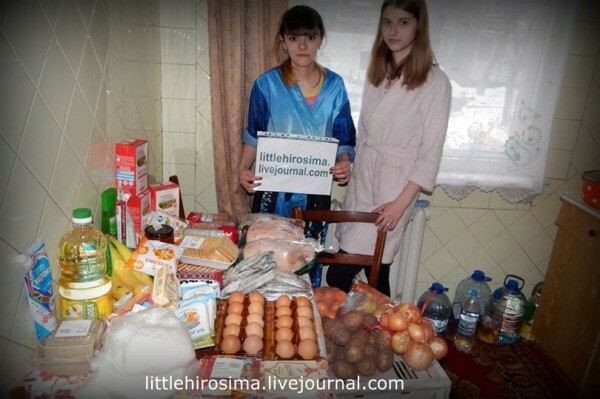 Anyone wishing to help the Alyona and Marina, please label your donations “sisters”. 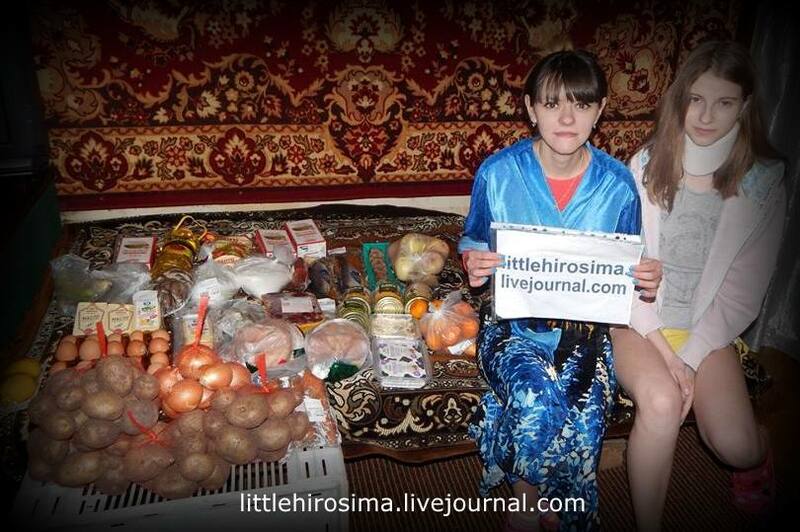 This entry was posted in in English and tagged donbass, lugansk, people we helped, sisters, war, zhenya by Михаил Ясинский. Bookmark the permalink.